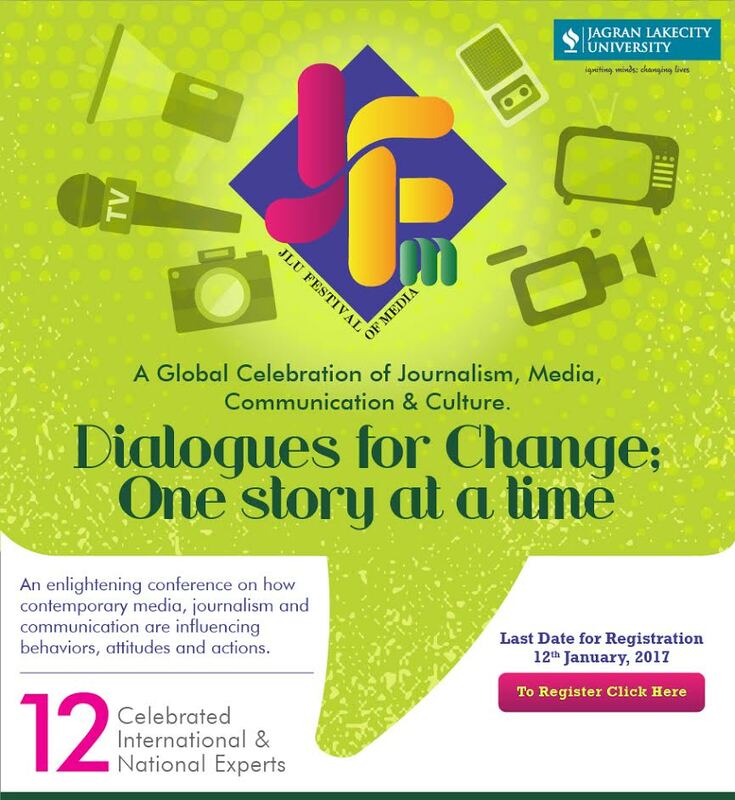 “Dialogues for Change: one story at a time” “How contemporary Media, Journalism and Communication are Influencing Behaviors, Attitudes and Actions” on the 13th of January 2017. Journalism, Culture and Communication converge as School of Media and Communication brings you JLU Festival of Media on 13th January 2017. JLU Festival is a one day Program designed to help professionals, academicians, researchers and student communities and individuals to spark conversation and connection on various themes anchored in media, communication and Journalism. JLU Festival of Media 2017 will aspire to spark deep conversation and connections through. a combination of live presenters and content. The speakers, all high achievers in their respective space but connected through the ever evolving thread of behavior change, influence and action, address a wide range of topics within the research and practice of media, communication, Journalism and culture, often through storytelling. 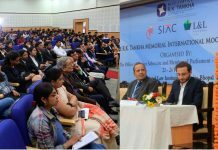 The festival will be open to professionals, academicians, Researchers, undergraduate and post graduate students and will galvanize them regarding the issues. It aims to bridge the gap between students and professionals of the media industry. 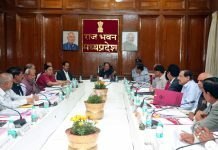 The festival will have elements of festival and fun but is bound to create a change. It will bring world’s most influential media minds for one, sharply structured day of presentations, deliberations, sessions, workshops, film screenings, exhibitions and networking.